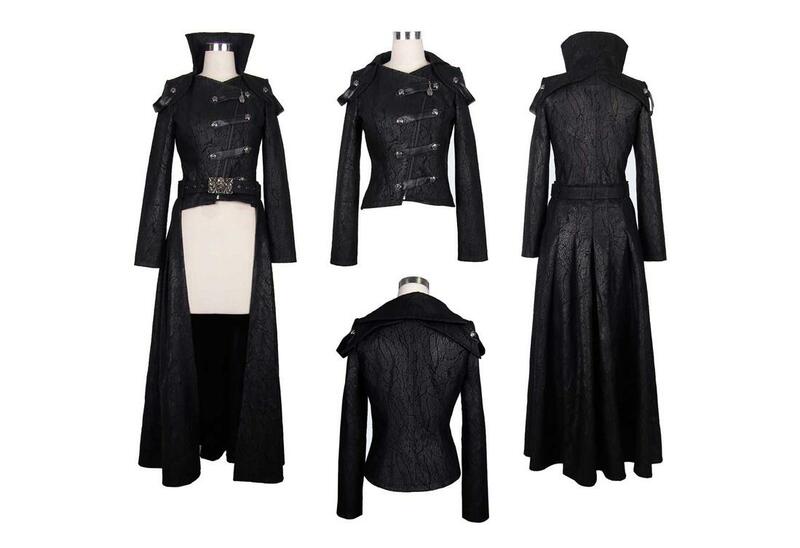 The Ophelia coat is as versatile as it is beautiful. 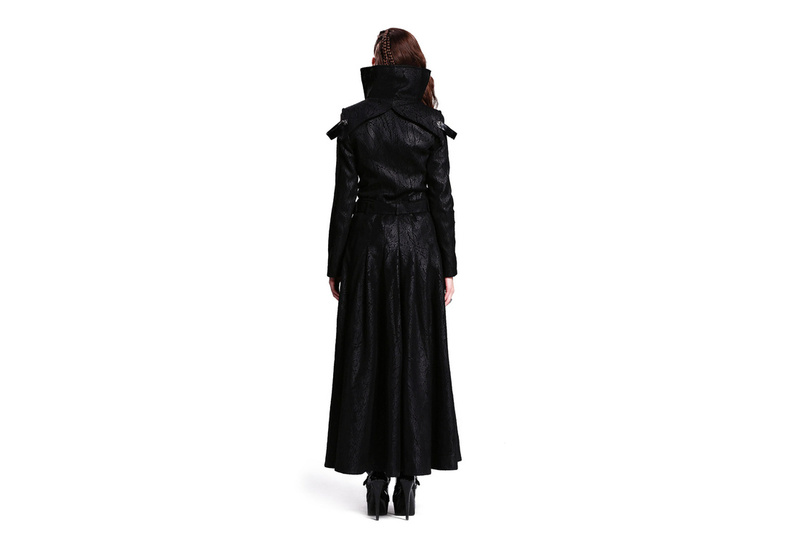 The bottom of the Ophelia Gothic coat is a separate piece that gives the effect of a trench coat. The bottom can also be used as a skirt without the top! 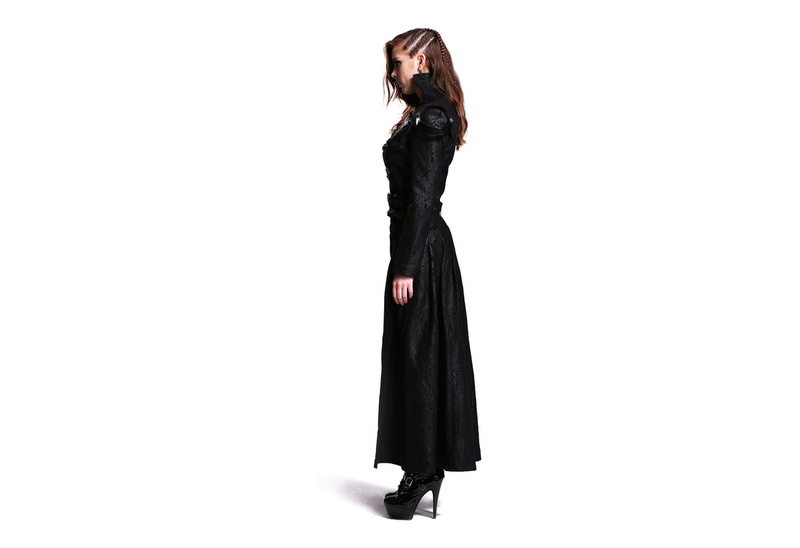 The large collar on this coat can be worn up or down to create two different looks. This chart is specific for this item. It's a nice coat. It's pretty. The bottom half is like half a skirt attached to a belt. Gets disbelieved easy but it's not a big issue. What I'm not thrilled about is the material. It feels very cheap. I would have preferred the product be a bit cheaper for the quality ($60-80) but I would still have bought it. 4 people found this usefull. Was this review helpful to you?